Endorsed by Karen White, New York Times bestselling author of Return to Tradd Street, please join me on an adventure inspired by the sea and my lymphoma journey. FOLLY BEACH DANCES is the recipient of the 2015 Da Vinci Eye Award for excellence in book cover design, and Eric Hoffer Book Finalist for Art. Conceived on the sandy shores of a South Carolina seashore, FOLLY BEACH DANCES, tells the story of people, animals, and yes, even structures moving in infinite rhythm. Reflections from five award-winning women authors, including myself and husband, help transport you back to the beach, no matter your worries. Diagnosed with lymphoma in June, 2012, my husband and I donate 10 percent of each book sale to the Leukemia and Lymphoma Society. Available at Indiebound books; on Amazon, BeachDances.com, and many stores across South Carolina and Missouri. 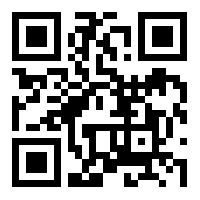 To Order – click on BEACH DANCES, or scan the QR code, to visit the official website of FOLLY BEACH DANCES, the book. Thanks Patti. Almost have a cover, and interior is just about complete, too. Can’t wait!